What is the future of banking, central banking and financial intermediation in a world in which cryptocurrency is dominant? Let’s speculate a bit, with the proviso that no one can fully anticipate how these markets will evolve. It is no wonder that the ruling class is concerned. We can find hints in the speech by IMF head Christine Lagarde at a Bank of England conference in September 2017. She dropped some words that likely sent some chills down a few spines in the audience. She explained that cryptocurrency is not a passing fad but a genuine innovation in money. The only remaining barriers to widespread adoption are technical, fixable and likely to be overcome as the sector develops. This, she argued, has profound implications for the future of financial intermediation and central banks. She continued to press the point, as it relates directly to the Bank of England and the Federal Reserve. She put a question mark after that last sentence, but she might as well have made the statement: Monetary policy cannot be effective in this world. In fact, it is worse. It might not matter at all. It’s an astonishing thing to consider. For more than a century, academics, regulators, captains of finance and high-level government officials have worked to find the perfect monetary policy to stabilize the macroeconomy, provide liquidity for growth without inflation and otherwise become masters of economic planning. But this entire machinery is premised on two important conditions. First, the government must have the monopoly on money. It has held this for more than a century. Government prints the money, controls its supply, imposes legal tender and regulates against the enforcement of contracts denominated in unofficial currency. And second, most of this money has to be held in some way in the banking system. If you take away both of those, the cause of central banking has a serious problem pursuing any form of monetary planning at all. That is indeed a very different world. And it is no wonder that the ruling class is concerned. Today, banks like JPMorgan and Goldman Sachs are experimenting with blockchain technology and cryptoassets. And Lagarde’s own statement might be seen to portend the issuance of a new global cryptocurrency to replace the Special Drawing Right. The core problem of these large-scale attempts to reproduce the power of the distributed ledger is that it might be too little, too late. The model of a new world of banking and credit is already revealing itself. How is conventional banking affected by cryptocurrency? Lagarde offers that it raises questions about fractional-reserve banking, the practice of keeping fewer deposits on hand than can be immediately paid out to customers at any one time. The practice has been well established for hundreds of years, and yet it can lead to unwarranted expansions of credit and fuel system-wide instability. Consider the history of banking. What was the purpose of the bank? There have been traditionally three primary functions that banks have provided since the ancient world. The first has been to provide safe storage for money itself. This is the warehousing function. It is essential and worth paying for. People need a safe place to store their money. That money needed a warehouse has always been taken for granted. The second is the loan function. The more credible the warehousing function becomes, the more the bank is in the position to leverage its specie holdings for its credit-granting functions. This is the origin of fractional-reserve banking. The bank cannot pay all depositors on demand. Instead, it relies on its financial soundness and a rate of return for depositors who entrust the bank with the responsibility of maintaining its balance sheet. The third is the clearing system. Because there is always counterparty risk in such transactions — the bank and the depositor must trust each other to tell the truth and make good on promises — the system settles transactions and certifies that all promises to pay have been kept. In the period between the transaction and the clearing, money becomes a credit issued and accepted based on trust. What happens to these three functions in a crypto-based monetary economy? Let’s go through them. That money needed a warehouse has always been taken for granted. This was a technological limitation of salt, gold, silver and so on. Specie takes up space. You need a secure space for it. It is also weighty and impractical for moving from space to space by a single individual. Murray Rothbard, in his book “Mystery of Banking,” regrets that these factors even exist and pointedly says that if people had carried coins rather than relying on paper money from banks, we could have avoided a century of financial panic and inflation. That’s a theoretically sound point that runs into practical limitations. The reason for notes to represent specie is to facilitate trade in a way that meets the needs of consumers. However, thanks to Bitcoin, we can now see that this warehousing service was in demand due to physical factors and not fundamental ones. Bitcoin has all the attributes of traditional money but adds two advantages: it is weightless and takes up no physical space. The money is “stored” in the cloud on the blockchain. The personal wallet serves the function of providing access via double-key cryptography. 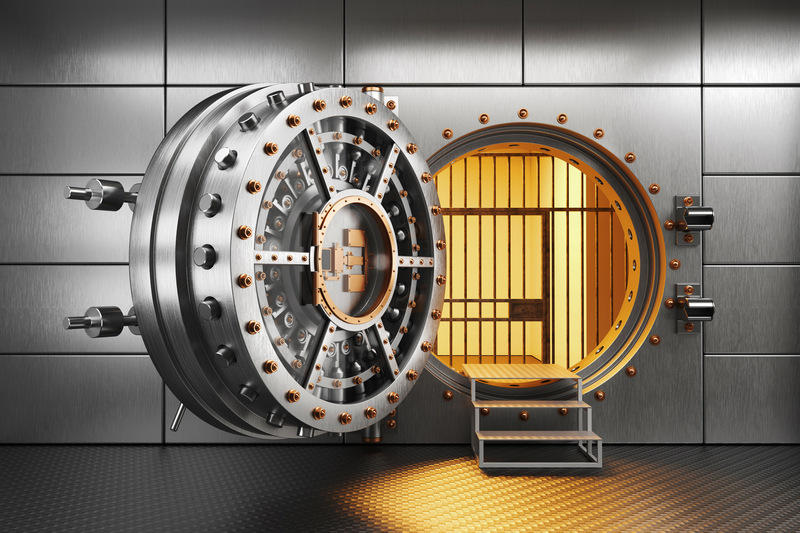 If you have your private key — and this can be on physical paper or on a device not even connected to the internet — you have all you need to set up your own private banking empire. Anyone in the world can do it without trust relationships, personal identification or credit history. The institutions that seem like banks — services like Coinbase that hold your key for you — maintain a full-reserve policy or risk losing the trust of their customers. It is impossible to anticipate what kinds of crypto-derivatives will end up being securitized and traded in the future. Surely, the last nine years of the previously impossible should cause everyone to be humble in their predictive outlook. That said, there is good reason to believe that the diminution of counterparty risk inherent in every non-cash transaction will drive markets toward greater accountability in every sense. And this alone might solve the age-old debate about fractional versus full reserves with the best possible resolution. Ownership titles are rearranged when the transaction is confirmed in the ledger. The question does not have to be resolved by intellectuals and policies. It is settled by the market, so long as technology permits people to pay for goods and services with a spaceless and weightless money that requires no warehousing. As for clearing, the single most difficult-to-grasp feature of Bitcoin is the manner in which it reduces or eliminates counterparty risk associated with monetary exchange. Transactions are cleared as they are made. This has never before been possible in the history of money and finance on a geographically noncontiguous basis. With traditional money, for clearing to occur instantly, you have to actually be there, trading physical dollars for goods and services. Cryptocurrency reproduces this exact financial arrangement on a peer-to-peer basis between any two individuals anywhere in the world. You are literally trading your stuff for his or her stuff. Ownership titles are rearranged when the transaction is confirmed in the ledger. What role is then here for traditional banks to be the guardians of settlement? When it comes to clearing services, so far as I can tell, that role is eliminated for all transactions that are settled in the instant of their confirmation (the time delay involved in moving crypto is nothing more than a delay; it creates no credits). We are habituated into thinking that the whole world runs on credit. That’s because it does. This isn’t because we are financially irresponsible, are unable to say no, absolutely adore large financial institutions or are willing to pay high rates of interest. It’s because the sophistication of modern financial technology has been hobbled by old-fashioned payment technology that still operates today the way it did in the time of the Medicis. Every transaction today is either based on cash or credit. In any case, the fundamentals are the same in conventional finance today as compared with the Medicis. It still relies on trust relationships, credit instruments that represent property but do not embody it, and a time delay for transactions to clear. As a result, every transaction that is not conducted in person via cash depends on some extension of credit and thus involves intermediating third parties, and that in turn necessarily involves some counterparty risk. It is fascinating how little we understand this today, but the truth becomes obvious on close examination: Every transaction today is either based on cash (instant title exchange and clearing) or credit (which involves trust relationships and counterparty risk). Services like Venmo, Google Payments, PayPal or dozens of others are no different in this respect from Visa, Mastercard or American Express. They can be more or less expensive, charge different user fees, and employ different interfaces and security protocols. But in the end, these services all rely on credit terms and do not offer instant clearing. They simply cannot because the decrepit technology of national monies does not allow it. The features of current monetary finance–centralization, trust relationships, credit expansion, ubiquitous counterparty risk, plus massive security threats–all follow from the technological limitations of national money. Cryptocurrency as a means of facilitating exchange is different in another respect. Its value is not tied to a nationalized currency at all. Not only that, it has no value as a commodity or asset at all. Its value is based on the use value of services provided by the cloud-based distributed ledger. The massive use of credit-based exchanges as we see in national monies would not exist in Bitcoin precisely because the technology disintermediates the financial industry, removing both the need for trust relationships as well as clearing services. Might there emerge a market for crypto-substitute monetary derivatives? Only the evolution of these markets can reveal this for sure, but this much remains true. It will not be about creating new money being allowed by the protocol. The distinction between money and money substitutes will be clear and not obscured by retrograde documentation technology. At the same time, the scaling problem of prevailing blockchain solutions will likely necessitate a convention of using off-chain platforms for smaller transactions, as Nick Szabo has suggested. Such transactions do involve counterparty risk but not credit creation as such; such networks operate more like debit cards. The main blockchains will likely be used for final settlements while “lightning networks” become trust-based credit tools (money substitutes) — by choice but not by necessity. This was already foreseen by the earliest commentators and players in the Bitcoin space. The first person to receive Bitcoin from Satoshi was Hal Finney. In December 2010, he posted the following note concerning how banks and credit might work. He imagines something of a new role for banks in helping Bitcoin to scale. Actually there is a very good reason for Bitcoin-backed banks to exist, issuing their own digital cash currency, redeemable for bitcoins. Bitcoin itself cannot scale to have every single financial transaction in the world be broadcast to everyone and included in the block chain. There needs to be a secondary level of payment systems which is lighter weight and more efficient. Likewise, the time needed for Bitcoin transactions to finalize will be impractical for medium to large value purchases. George Selgin has worked out the theory of competitive free banking in detail, and he argues that such a system would be stable, inflation resistant and self-regulating. I believe this will be the ultimate fate of Bitcoin, to be the “high-powered money” that serves as a reserve currency for banks that issue their own digital cash. Most Bitcoin transactions will occur between banks, to settle net transfers. Bitcoin transactions by private individuals will be as rare as… well, as Bitcoin based purchases are today. Additionally, the massive industry associated with credit-based transactions includes a vast machinery of fraud prevention and prevention of identity theft. This is also made unnecessary because identity is cryptographic and not personal. All this said, there is still a role for credit markets in cryptocurrency. They emerge precisely as they would in a purely specie-based monetary regime in which everyone carried around their own coins or stored them in the home. If you have excess monetary reserves in your own possession, you may be willing to loan them for others to use and do so at a profit. In order to reduce the risk of default and guarantee your investment, you need collateral; this can take any form. You also need to establish a trust relationship, same as with any other loan market. These markets have already developed. Companies like Bitbond and BTCPOP offer services both for lending money and borrowing money, with the terms of exchange favoring both parties. For now, such standalone services are risky simply because the upstart sector is replete with sketchy schemes and fraud (“Lend your BTC to me and I will pay you back, I promise.”). Much more promising is a simple margin lender service provided by dollar/Bitcoin exchanges themselves. The borrower does not take direct possession of the coins but is rather extended by the exchange at the behest of the customer who wants to earn a regular rate of return. An example is the lending service provided by Poloniex. The trouble these markets have so far encountered is that holding crypto is more profitable than lending it at prevailing rates. This might not always be true. As these markets develop, it would not be a surprise to discover that the rate of return for the lender would be above the rate one would earn from nationalized money. The risk of default would not be guaranteed in any way as with government-backed financial institutions, much less a central bank that is capable of printing unlimited amounts of money. On the other hand, this would also eliminate the moral hazard of making unwise loans or securitizing debt obligations without proper documentation, such as happened during the housing bubble. In the century of central banking, we’ve seen interest rates decline inexorably and the terms of credit issuance shifting dramatically to favor longer terms, ever less collateral and ever more confusing titles for ownership. In cryptocurrency-based credit markets, we are likely to see the opposite trend: shorter terms, higher collateral requirements, very clear titles demarcating indisputable rights of ownership and enforcement of terms built into lending protocols. Christine Lagarde is right: There are dramatic challenges to the status quo that are being offered up by the advent of cryptocurrency. Monetary exchange will operate the same as cash exchange, and the sophistication of our payment and settlement technologies will sync up with the sophistication of our financial tools. In some respects, cryptocurrency might appear to be more stingy than our current highly leveraged, unstable and centrally regulated systems. In contrast, the new world will be financially sound, stable, radically disintermediated, decentralized and democratized because anyone, of any financial means and access to financial institutions, can participate within it. We’ve only begun to think about what a radical change it would be if our money actually gained value over time (as crypto has for nine years, and the dollar did in the late 19th century), so that you actually grow more wealthy merely by not spending. Such a change would be huge, not only for finance but also for the culture at large. For more than a century, the banking system has been used to fund the state, destabilize the economy, loot private savings, exclude people who don’t have access, promote financial dependency and even make violence possible on an unprecedented scale, all because we didn’t have a different technology for making possible monetary exchange. That monopoly is now being shattered. Sound money is born. The panic of the ruling class has just begun.